President Yoweri Museveni has endorsed an upcoming oil and gas institute due to open in February 2018 in Kampala to offer skills training in oil and gas. 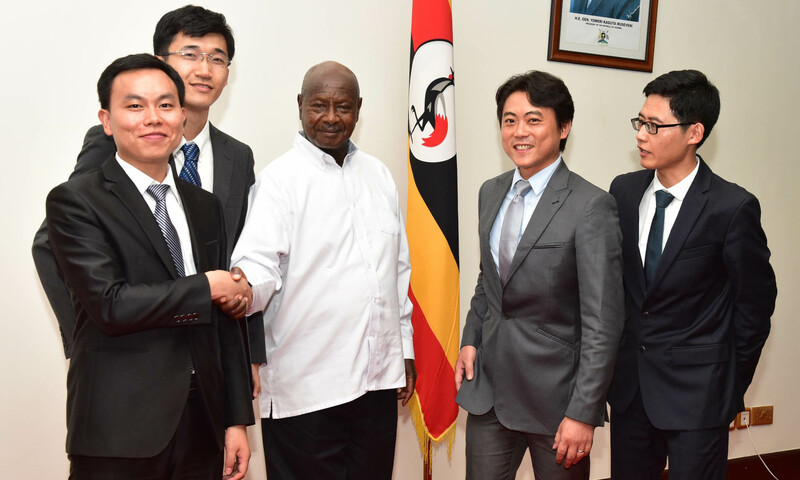 During a meeting at State House, Entebbe, a team of four Chinese oil experts and petroleum engineers from Sunmaker Energy laid their proposal before President Museveni, which included asking for tax and electricity exemption to enable them run the institute. The proposal also showed the progress of the ongoing construction works at the training centre in Bugolobi industrial area in Kampala. The training centre, now in its advanced stages of construetion,will offer basic oil and gas skills, energy management and theoretical classes. It will accommodate180 students in a hostel environment. Li Yu, the business manager,said with Uganda ready to have its first oil hit the market by 2020, there is need for skills training to chum out professionally trained people. He told Museveni that Sunmaker Training Centre intends to train about 1,600 people in the first phase in oil and gas, while in the second phase it will train over 5,000 professions. Li requested that the Government exempts them from paying for electricity, VAT, import duty and income tax, saying the startup company still needs financial support and investment. However, the request for exemption on electricity was denied as the President told them that the Government will subsidise the electricity by five cents per unit cost. Sunmaker Energy from taxes and asked the Uganda Investment Authority, through its executive director, Jolly Kaguhangire, to allocate them land in Hoima, where Sunmaker will construct another training centre to benefit the locals in the area and Ugandans at large. Once complete, the training centre will have a comprehensively professional training system, with experienced international faculties, focusing on the top-level design of management regulations for oil and gas engineer employment with certificates, said Li. With the global climate change, more countries and regions are replacing coal with natural gas to generate power to balance increasing power demand.